Turkey isn’t just for Thanksgiving anymore. This comforting, distinctly American bird is delicious all year round! 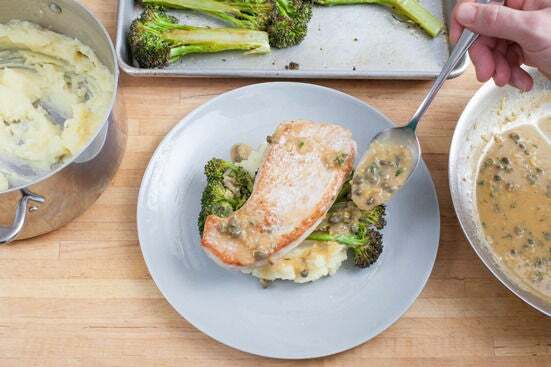 You’ll make light, fluffy mashed potatoes and savory, slightly caramelized broccoli as sides for juicy, all white meat turkey cutlets. 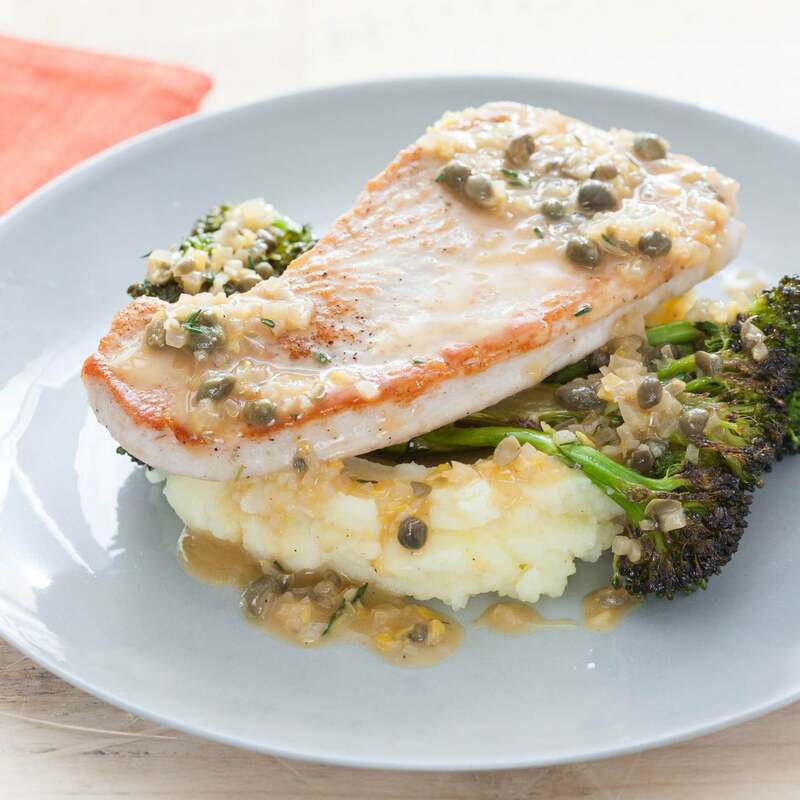 Finished with a tangy lemon-caper sauce, this meal brings a little bit of the holidays to every bite. Preheat the oven to 450°F. Heat a large pot of salted water to boiling on high. Pick the thyme leaves off the stems; discard the stems. 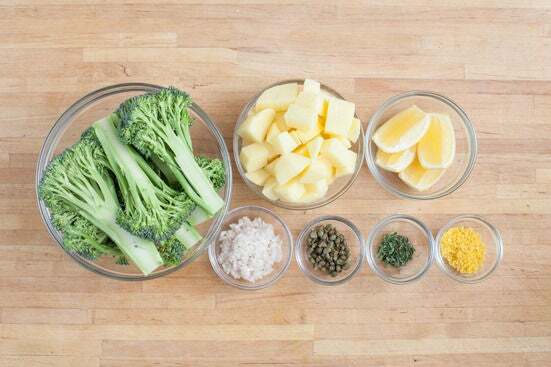 Trim off and discard the bottom 2 inches of the broccoli stems; cut the broccoli lengthwise into ½-inch slices. Using a peeler, remove the yellow rind of the lemon (avoiding the white pith); mince the peel to get 2 teaspoons of lemon zest. Cut the lemon into quarters and remove the seeds. Peel and mince the shallot. Roughly chop the capers. Peel the potatoes and cut into ½-inch cubes. Once the water is boiling, add the potatoes and cook 18 to 20 minutes, or until tender when pierced with a fork. Drain thoroughly and return to the pot. 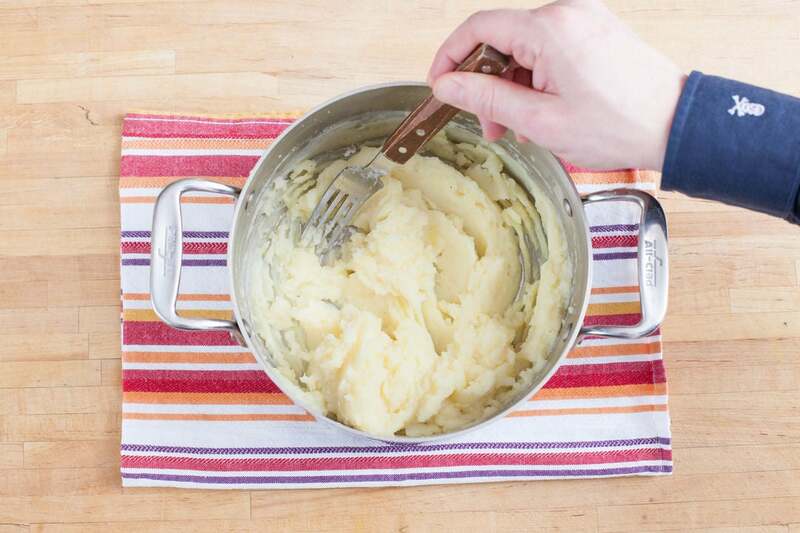 Using a fork, mash the potatoes with half of the butter. Continue mashing and gradually add as much milk as you’d like (you will have extra milk), depending on how thick you’d like the mash to be. Season with salt and pepper to taste and set aside in a warm place. While the potatoes cook, toss the broccoli with a little olive oil and season with salt and pepper. 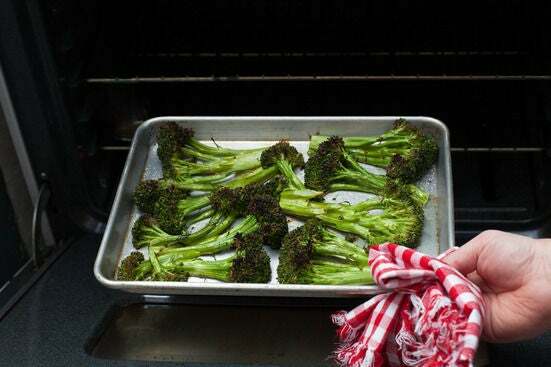 Lay the seasoned broccoli out on a sheet pan in a single, even layer. Place in oven and roast 18 to 20 minutes or until browned. Remove from oven and set aside. 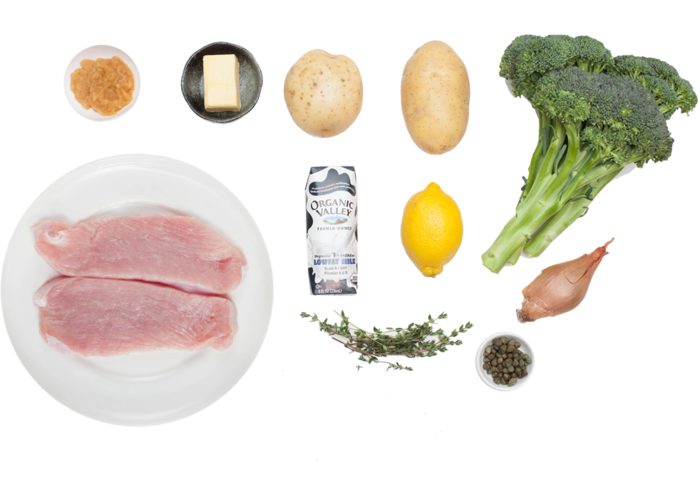 After the broccoli has roasted for about 10 minutes, season the turkey cutlets with salt and pepper on both sides. In a large pan, heat 2 teaspoons of olive oil on medium-high until hot. Add the seasoned turkey and cook 2 to 3 minutes per side, or until browned and cooked through. 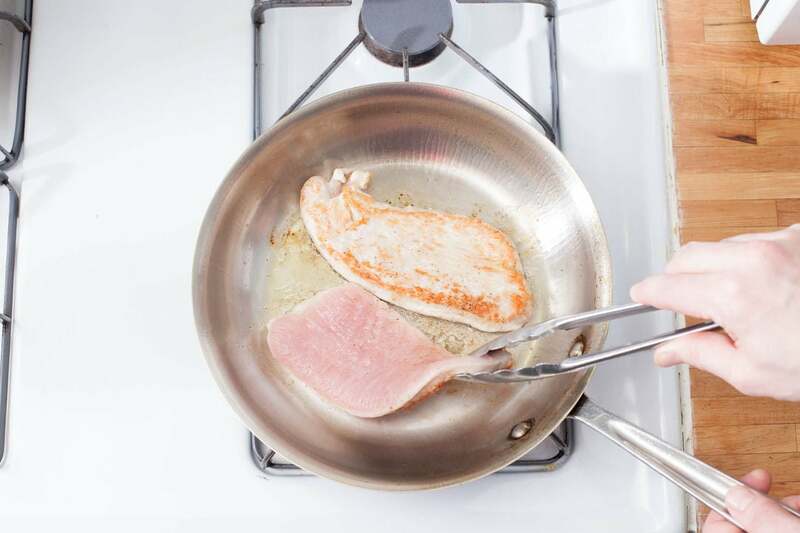 (If the pan is dry after flipping the turkey, add another teaspoon of olive oil.) Transfer to a plate, leaving any browned bits and drippings in the pan. In the pan with the drippings and browned bits, melt the remaining butter on medium. 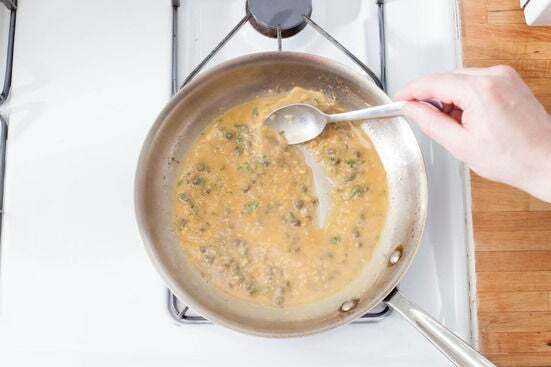 Add the shallot, capers, and lemon zest and cook, stirring frequently, 1 to 2 minutes, or until the shallot has softened. Stir in the chicken demi-glace and ¼ cup of water and cook, stirring occasionally, 1 to 2 minutes, or until slightly reduced in volume. Stir in the thyme and season with salt and pepper to taste. Remove from heat and stir in the juice of 2 lemon wedges. Divide the turkey, mashed potatoes and roasted broccoli between 2 plates. Top with a few spoonfuls of the lemon-caper sauce and garnish with the remaining lemon wedges. Enjoy!